Bills, policies, and laws are being debated in the parliament as we read this blog. Any discussion inside the parliament almost always gets mirrored in discussions echoed across the streets of the country. 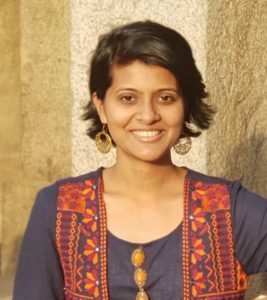 Be it Demonetization, Triple Talaq or GST, even though we as citizens might not be fully aware of the policy being proposed, yet each one of us, more often than not, has an opinion. When I was young, I didn’t have the maturity to understand those political discussions, but I grew up listening to those “gully discussions”. Often, I used to wonder who those people are who decide which policies need to be proposed and how the whole process shapes up. It must be a really difficult task to propose a bill on the floor because it’s not just about those 790 members in the parliament but the Indian populace who will be discussing it. The leaders have to do thorough groundwork, get strong facts in their favour and most importantly justify why it should be discussed and implemented. Having moved from city to city in a matter of few years, I know how enormous the socio-economic differences observed in our country can be. How do these policymakers know what this group of diverse people actually wants and how to benefit them? Are the opinions of all the stakeholders considered while making a policy? Once a policy is made, how different is it on the ground as compared to being on paper. How do all the stakeholders react to them? And finally, when do we say that a policy is successful? I knew the answers to these questions couldn’t come sitting in college, neither could all these questions be answered at once, hence I decided to seek some of these answers by taking a trip to a village in Gujarat. Gujarat’s development model is known across the country and hence makes it easier to find some of the answers over there. PaviJetpur is a small tribal village in the district of Chhota Udepur, around 90 km from Vadodara. Economically and socially, the village is quite diverse, as on one hand there are people with successful businesses, owning huge houses and fancy cars and on the other side are the people who find it difficult to even make their ends meet. Every house had an electricity and water connection. The street light consisted of LED bulbs to save electricity and drainage facilities were there in almost 75% of the village. This reflected the development that had taken place in the village. In trying to understand the demographics of the population of the village, I observed that there were two main tribal communities namely Rathvas and Tadvis in the village. Rathvas were the economically weaker section who were mostly daily wage workers and used to migrate seasonally. Thus, very few of them had a pucca house. One interesting thing about this community was their unity, whenever I went there alone or with someone else, the community used to get gathered within a few minutes even without being formally informed. There were houses which had recently gotten electricity connections for the first time. While I roamed around Entavada (Area where the majority of the community members lived) for filling up forms of applicants under PMGAY, I noticed that everyone had important government documents like Aadhaar, Voter-Id and Ration Card contrary to the popular belief. Everyone wanted to fill the PMGAY form, even though they knew that there were already many pending applications and their application might even take years before any fruitful results came, so much so that some of them might even be dead before they are allotted a house. It showed that the faith in government policies can develop when people get to see some tangible benefits of the same. The other community was the Tadvis, who were also mostly daily wage workers. Most men in the community died young due to excessive alcohol consumption leaving behind two generations of widows. Now, as a coping mechanism, even the women and children have resorted to drinking. There have been instances of violence like breaking the Anganwadi Gate, impending health sessions etc, by some drunken men. Campaign for Swachh Gram has already been launched, and as a result, one could see a dustbin on every street. Workers cleaned the roads every morning and a van came daily to collect garbage from households. For recreational and entertainment purpose an amusement park has been developed. It’s a beautifully developed park with Open Gym, fountain, and swings for people of all ages. 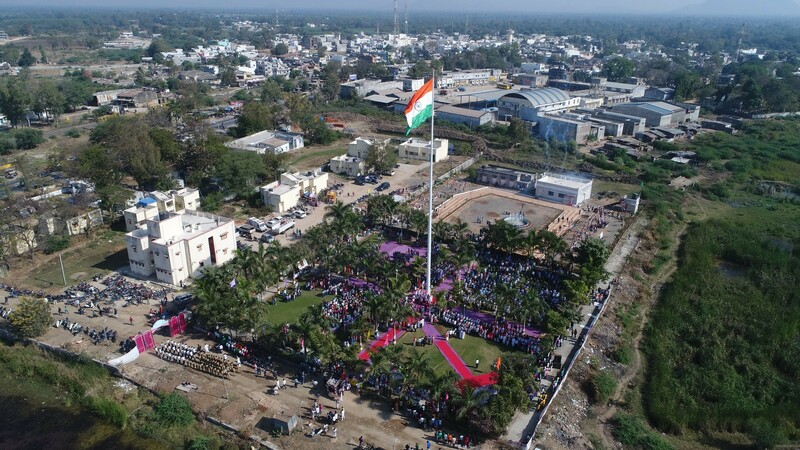 The first task at hand after my arrival in the village was the inauguration of Gujarat’s 2nd Tallest National Flag, and the village panchayat became the first panchayat to hoist such a flag. 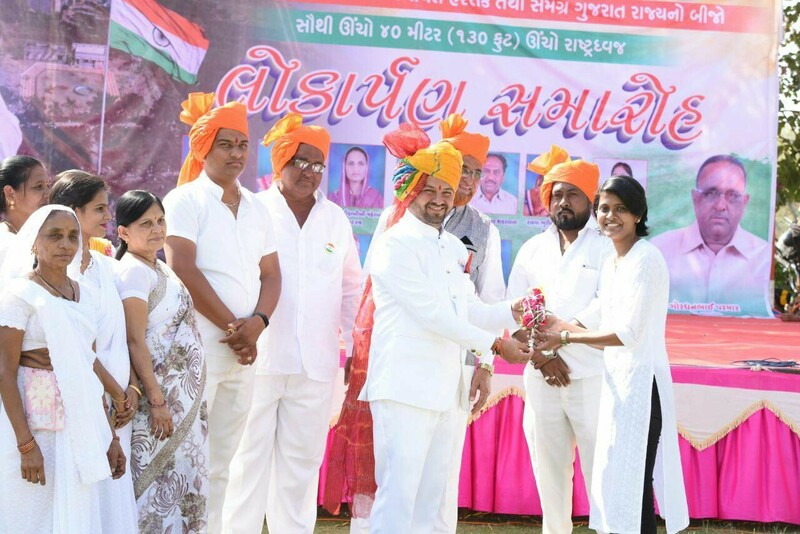 The task was huge and so were the spirits of the sarpanch. The flag was hoisted successfully on 26th January, on the occasion of the Republic Day. During those 12 days, I realized that a seemingly easy looking task such as hoisting a flag can become a strenuous one when done on a public platform by a government body while taking care of every associated protocol and every fine detail. A clear disconnect between the expectations from a policy and its on ground implementation could be observed while looking at the educational scenario in the village. 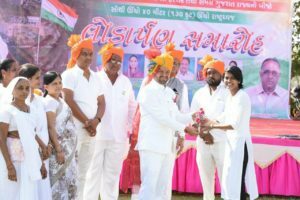 Despite the village having one high-school, four junior schools and one B.Ed college, children from well-off families mostly shifted to Vadodara for higher studies and the rest showed little to no enthusiasm for education. On being asked for the reason, one of the principles said that it is due to the problem of mis-assignment of responsibilities related to the children. While the parents think their job ends once the kids leave the house to go to school, the teachers believed that their work didn’t begin until the children actually reached the school. A major question which pondered on my mind on my way back was regarding the responsibility for the seemingly small distance between home and school. I couldn’t find the answer to who should be held accountable for this crucial gap in the education system. Earlier, the government provided the subsidy to buy school uniforms was credited to the school’s account. Since the money came in June whereas the session began in April, so the teachers used their money at the beginning of the session for the same. Now, however the money is credited to the parent’s accounts, hence the teachers are afraid to use their money because of no guarantee of a refund, as many parents spend the subsidy on other activities. Hence many students now come to school without uniforms. I understand that the new rule was made to avoid corruption by school authorities and to ensure more student registrations. Often amendments in policies are made with the aim to prevent the corrupt behaviour, but with every change, the positive reinforcement is also suppressed. So if earlier only 10% schools were providing uniforms now that fraction will reduce to an even smaller number. In fact, now the school will also have a valid excuse for the absence of uniforms. Can we even call the changed policy an “improved” policy in such a situation? Words like village, poverty, development, and education create very monotonic images in our minds that more often than not do not reflect the diverse meanings they hold. This trip presented to me, one of the many facets of life in a village in India, a village that baffles you with its schemes around CCTV and Public Announcement Systems, initiatives that you usually associate with well-developed cities. This opened my mind to the understanding that the term ‘development’ is very dynamic in nature, the village that needs PMGAY to provide houses to a community also needed to take initiatives on public security and recreation for a whole another group of people. A good leader needs to understand this and have a vision that balances these two contrasting responsibilities, providing a truly democratic leadership that caters to all.